If you are a small business owner with a business Twitter account, chances are you do not have many followers. This is a common problem for small businesses, who do not always have room in the budget to dedicate solely to social media marketing or other forms of digital marketing. However, just because you do not have a large budget does not mean you cannot increase your social media presence and brand awareness online. If you want to get more Twitter followers without spending money to do it, keep reading below for some helpful Twitter marketing tips that are sure to help you improve social media presence for business. 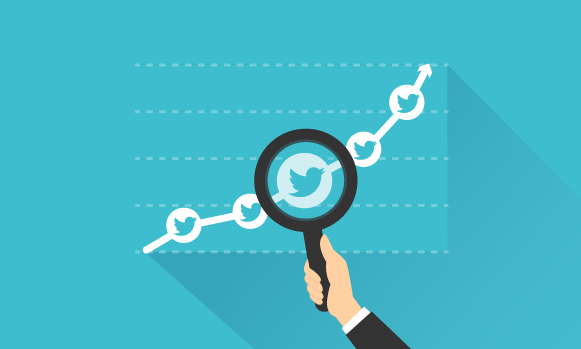 One of the easiest ways to get more Twitter followers for your business is to participate in trending topics whenever possible. Of course, you do not want to have to be glued to your phone or laptop screen just to tweet during every event. However, engaging in relevant trending topics whenever possible will give your account increased visibility with other users who are interested in topics that relate to your business. This is an easy way to generate followers on Twitter that are much more likely to actively engage with your content. Another useful way to get followers for your business Twitter profile is to tweet, retweet and reply during business events you attend. If you are at a networking event, there is sure to be a specific hashtag for it. Use the event hashtags and start tweeting. This is a benefit that is not afforded to business Facebook accounts. In addition, you should interact with other attendees’ tweets, as well. This is another excellent way to gain followers for business Twitter accounts that are already interested in the area of business your organization operates within. Following other Twitter accounts is useful for increasing followers too. Following similar accounts and other accounts tweeting about topics relevant to your business broadens your profile reach. Another great tip to make this practice even more effective is to engage with or respond to a tweet or two of each new account you follow. This helps to draw attention to your profile. Oftentimes, many of these accounts will follow you back., especially when you engage with their content. You can always unfollow after a while if you find your following to follower ratio is a bit out of control, so keep this in mind. There are many blogs and other websites that allow you to comment on posts and articles using your business Twitter handle. This is an excellent opportunity to take advantage of. Commenting on relevant articles and blog posts with your Twitter account name will further increase your profile exposure. You account is sure to get at least a few more clicks, especially if you use some visual marketing for social media tips. Once it does, it is up to you to create content that makes them want to follow your account. This may not directly increase your follower count. However, personalizing your business profile page will make users much more likely to interact with and follow your account. Instead of using your business logo, make your business Twitter profile photo a headshot of yourself or another member of the business. Also be sure to personalize your Twitter bio with keywords relevant to your business, so that your account shows up higher in search results. Twitter users are much more likely to follow an account with a picture of an actual person, so make sure you personalize your Twitter account to get more followers easily. If you are a small business owner, having a Twitter business account only adds another item to your to-do list. It can feel like a waste of time tweeting to only 20 or 50 followers. Instead of giving up on social media marketing or Twitter marketing overall, just use these tips mentioned above to increase follower count for your business Twitter handles. Once you use these tips to broaden your reach on social media, you are sure to gain followers and increase engagement for your business account.